The ‘Akaka falls are a 422 ft (135 m) tall waterfall and are the highlight of the ‘Akaka falls state park. 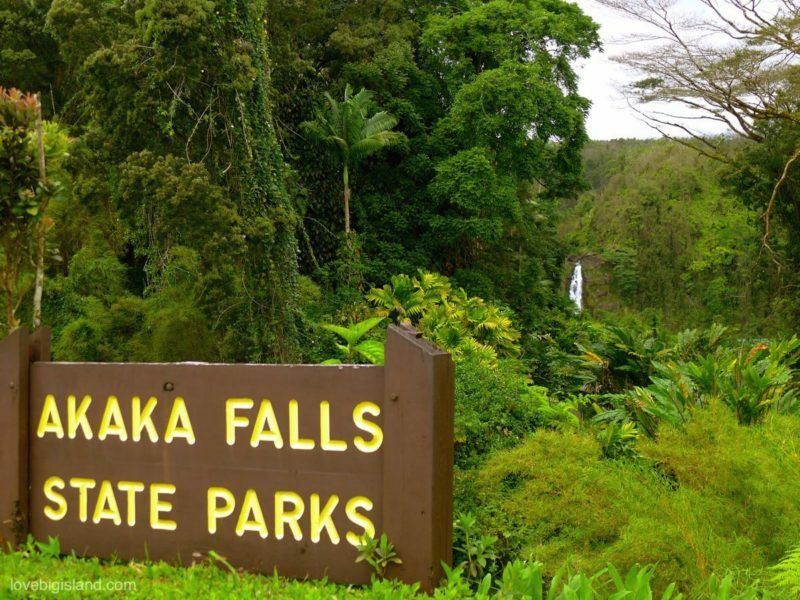 This park is located close to Hilo and a visit to the ‘Akaka falls should be part of any road trip crossing the Hamakua coast. You can read more about those falls below. You can find information about the admission fee and Directions to this state park near the bottom of this page. You can only see the falls after a pleasant and short 0.4-mile hike from the parking lot. 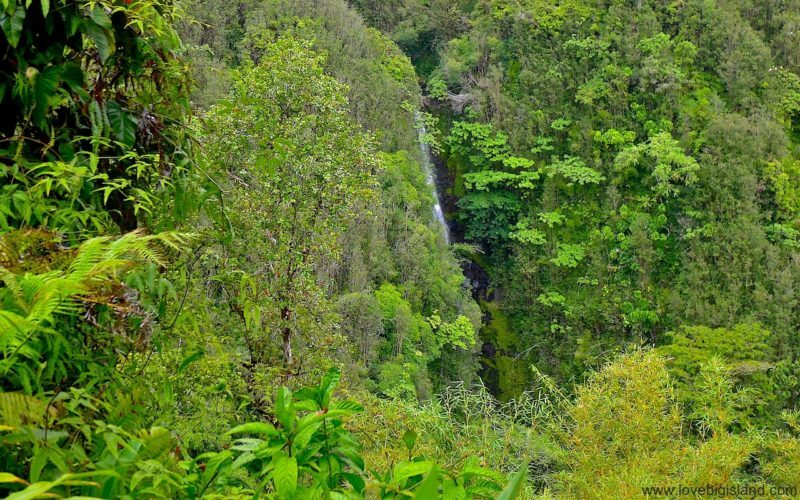 This walk is called the ʻAkaka Falls Loop Trail and is an easy hike that is doable for the whole family. Completing it can take up to 1/2 hour if you take your time and the trail head is easy to find: directly off the parking lot. You can see the top of the ‘Akaka Falls from the parking lot. A short hike takes you to a far more scenic view. The walk to the ‘Akaka falls takes you through a lush rainforest filled with wild orchids, bamboo groves and draping ferns. Try not to rush ahead to see the waterfall but take your time and enjoy the scenery. The accessible portion of the park lies high on the western shoulder of the deep gorge into which the ‘Akaka waterfall plunges, and the falls can be viewed from several points along the trail through the park. Be prepared to meet other people on the trail because the ‘Akaka falls are one of the more popular attractions on this side of the island. They also are one of our 5 favorite Big Island Waterfalls. You can find the most up-to-date information on the ‘Akaka falls loop trail on the state park website. You can also take a virtual tour of the ‘Akaka falls loop trail using google. There is another waterfall visible from this trail: the Kahūnā Falls. This waterfall is with a 400 ft drop almost as tall as the ‘Akaka falls, but it is difficult to get a good look at the Kahūnā falls from within the park. There is a small overlook point from where you can see these falls about 800 ft beyond the ‘Akaka falls overlook. The Kahūnā falls are best visible after lots of rain because the trees on the cliff in front of it shield most of the falls from view. The ‘Akaka falls state park is about 11 miles north of Hilo on the end of ‘Akaka Falls Road (Highway 220), 3.6 miles southwest of Honomu. The parking area is open between 8:30 am and 6 pm. The park itself is open to walk-ins between sunrise and sunset. The admission fee to the park is $5.00 per car or $1 per person for pedestrians. 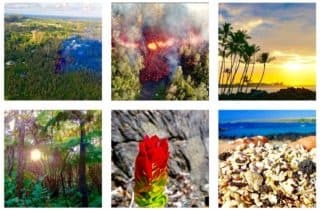 Entrance for Hawaii residents is free (source, last checked April 2019). Is it possible to go on a zipline tour at the ‘Akaka falls? 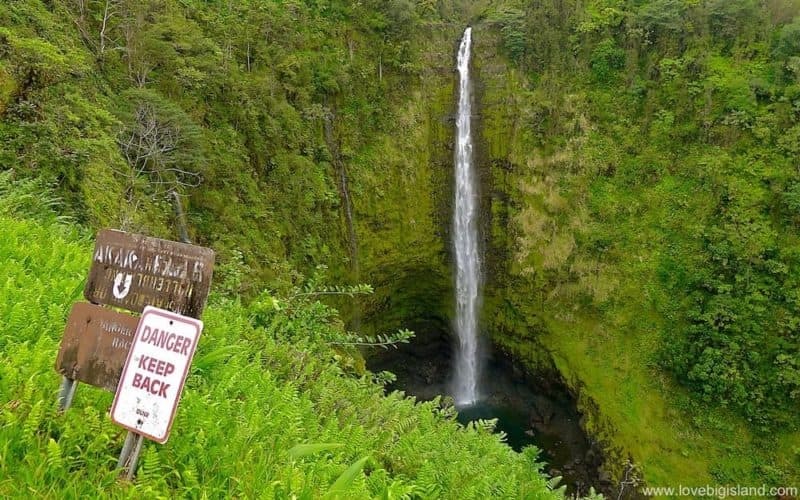 It is not possible to go ziplining at the ‘Akaka falls. The waterfall is located in a state park and cannot be commercially exploited. The Big Island Zipline tour offered by Skyline Eco Adventures is located halfway between the ‘Akaka falls state park and the ocean, on the Kolekole stream. Their ziplines take you past two waterfalls: one with a 40 ft drop and one with a 200 ft drop. Very impressive, but less than half the height of the ‘Akaka falls! Read more in our guide to zipline tours on the Big Island.